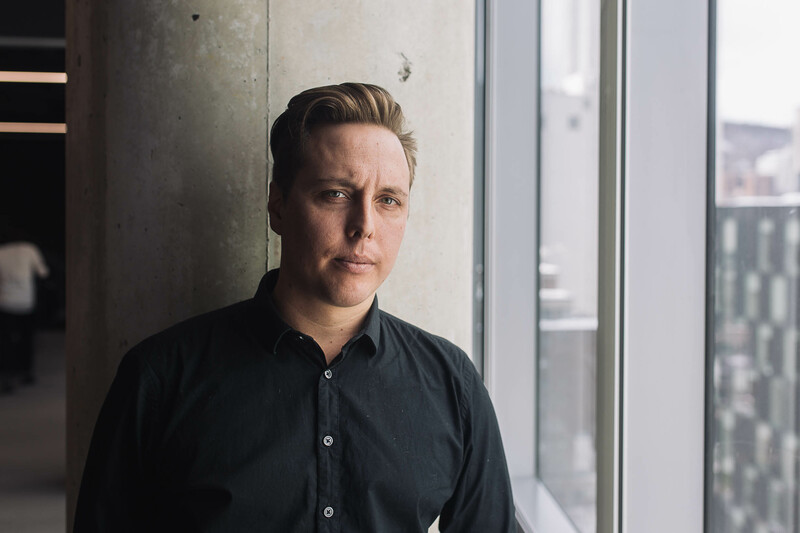 Once a Concordia film production student, Félix Lajeunesse is now the co-founder of one of the largest virtual reality companies in the world, Felix & Paul Studios. At a panel discussion on Feb. 12, he shared insight on how he and his team built a virtual reality studio from scratch with nothing but a dream in mind. Lajeunesse’s talk, led by professor Daniel Cross of the Mel Hoppenheim School of Cinema, was part of Concordia’s president speakers series on digital futures. The conversation discussed virtual reality (VR) technology and its application for users around the world. VR technology and projects immerse viewers in different worlds. In the early years of Felix & Paul Studios, Lajeunesse and his partner, Paul Raphaël, focused on building a camera to create an immersive, 360-degree experience. Their goal was to experiment with 3D technology that would give viewers an immersive cinematic experience rather than just an interactive one. “You feel like you’re there. You feel present inside the story, completely immersed, emotionally and psychologically, but you can’t say hi to the people in [that] world,” Lajeunesse said. Creating Felix & Paul Studios has given Lajeunesse and Raphaël the opportunity to collaborate with notable figures, such as Barack Obama, Reese Witherspoon and LeBron James. Their team is composed of filmmakers, as well as engineers, programmers, sound technicians and others who diverge from the traditional filmmaking crew. Lajeunesse said he chose the medium of VR because it shares stories from the perspective of the viewer, not the director. For example, a simulation of reality created by Felix & Paul Studios gives viewers the opportunity to feel like they are sitting face-to-face with former U.S. President Barack Obama. According to Lajeunesse, their business model was risky because it involved investing in a medium that wasn’t considered an industry yet. It payed off, however, as Lajeunesse and Raphaël got their first investment from Phoebe Greenberg, the founder of the Phi Centre, a multidisciplinary art centre in Montreal. Lajeunesse said Greenberg believed in their project and gave them the financial backing to get the company started. For more information about Felix & Paul Studios’ upcoming projects, check out their website at felixandpaul.com.